Mary was born on 11 MAY 1802, the daughter of Samuel "East" Woods and Anna Purviance. The place is not known. 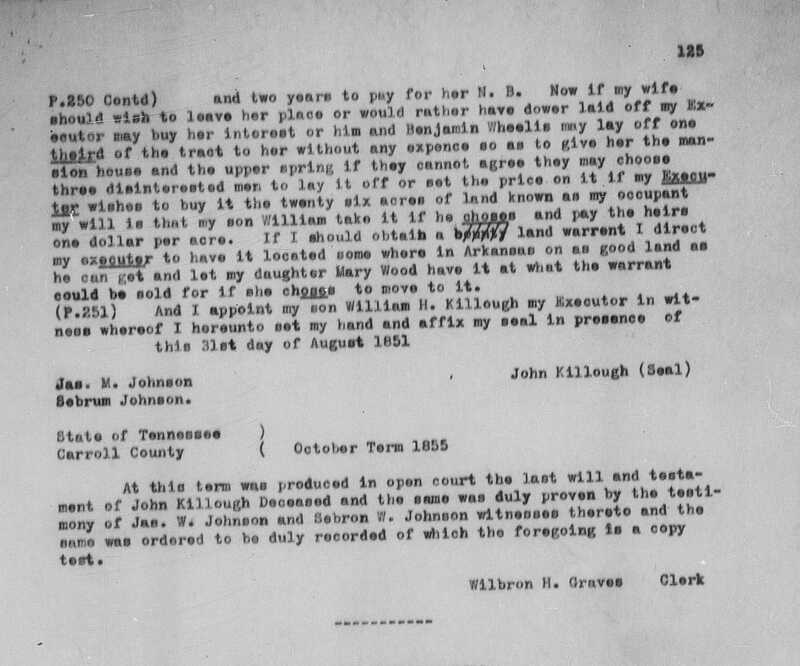 She died on 10 MAR 1832 in Carroll County, Tennessee. 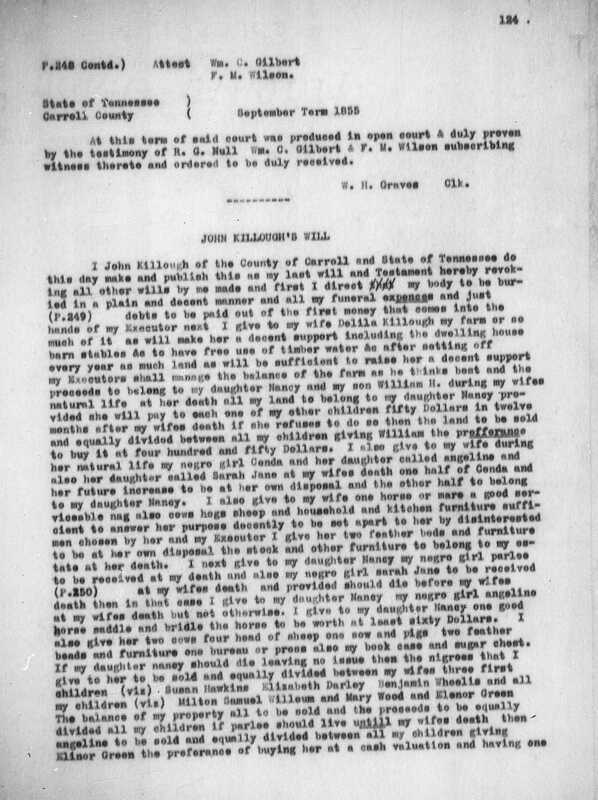 Her husband was John Killough, who she married on 8 MAR 1825 in Carroll County, Tennessee. Their four known children were Milton A. (1818-1897), Eleanor J (1827-1868), William H (1829-1891) and Nancy A (c1832-1891).